How to pick the perfect flower girl dress to make your wedding day! - Coco Blush Boutique - Where little girls dreams are created! Home » How to pick the perfect flower girl dress to make your wedding day! How to pick the perfect flower girl dress to make your wedding day! Choosing a flower girl boutique! This is the cutest part of the wedding. Flower girl dresses and gowns add an almost timeless and nostalgic look to the wedding, with their procession down the aisle. We believe that every flower girl deserves to look and feel special on this day, especially with all eyes on her as she walks down the aisle. Picking out the cute little flower girl’s dress is almost just as fun as picking out your wedding gown. What’s great about these gowns is that they can be used again for another occasion. Add a flower crown or lace flower headband to complete and tie in the outfit. Coco Blush Boutique offers a wide variety of dresses in different fabrics, styles and colours. If you get a nice, white or ivory coloured gown, you can bring in a miniature elegant touch. It’s great to have the gown match the bridal wear, as well as the overall theme of the wedding. We offer elegant silhouettes, princess style ball gowns, and flowy A-lines that will look great for any wedding occasion whether it is on a beach, at a ballroom or in a church. We also have smooth dresses, fun, playful ruffles and of course voluminous tulle skirts! Our collection is full of dainty and pretty flower girl dresses made from the finest materials and fabrics. Some of the fabrics we have are lace, tulle, satin and more – leaving you with a variety of choices to choose the best dress that will suit the wedding. Each dress has its own adornment from fine beads, delicate lace work and fancy colourful sashes for a whimsical look. Why choose Coco Blush Boutique? Coco Blush Boutique was founded in Melbourne, Australia in 2012 where we saw a gap in the bridal market for children’s couture and custom designed dresses. Armed with a flair for design and love for luxe glam, we frequently indulge in delicate lace, frilly tulle, glittery tutu’s, flower crowns, handmade accessories and princess gowns. 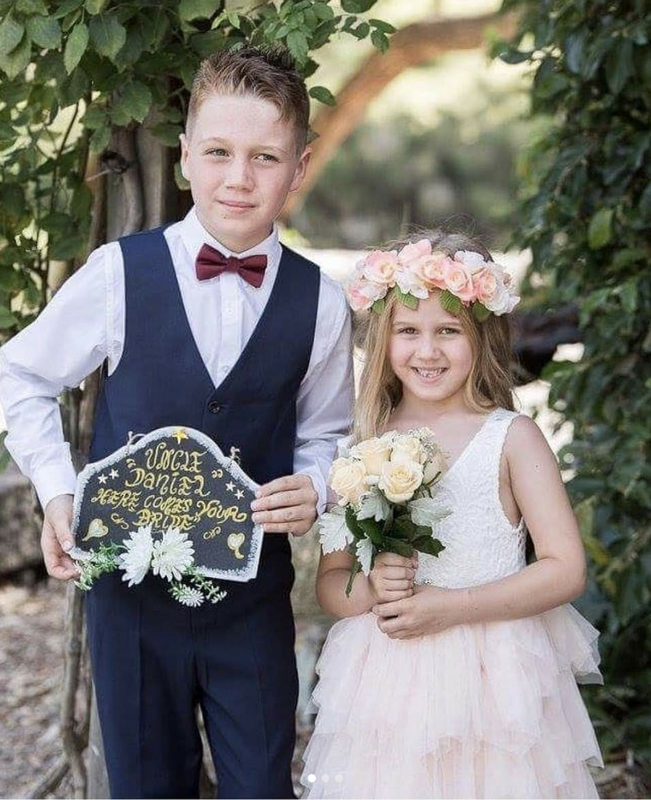 We are Australia’s number one go to wedding and bridal party website and have dressed hundreds of flower girls and bridesmaids. You will frequently see our clothing used by some of Australia’s best photographers and we have had taken part in several editorial fashion shoots in magazines and websites.